Monkfish were historically not a sought-after fish, and were routinely discarded. In the 1990’s, fishing effort significantly increased because of consumer demand from Europe and Asia. Nowadays, the monkfish fishery is one of the most commercially important fisheries in the Atlantic US. 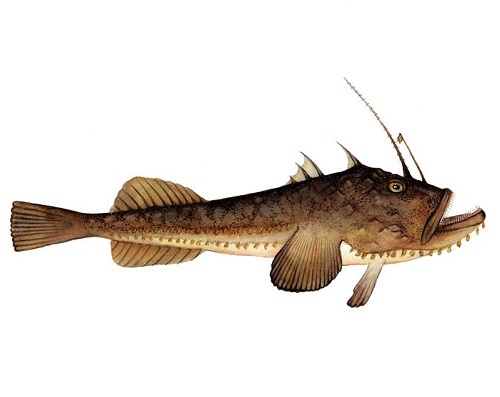 Monkfish are vulnerable to fishing pressure, and were previously overfished. However, management has succeeded in increasing population abundance, decreasing fishing mortality, and overfishing is no longer occurring. A fishery management plan for monkfish was first established in 1999. Catch limits have resulted in decreased landings, managers follow scientific advice, and the stock has recovered from overfishing. Nevertheless, more data would be useful for a better understanding of the stock status. Both bottom trawls and bottom gillnets catch a variety of species as bycatch. These include endangered, threatened, vulnerable, or overfished species such as the Atlantic sturgeon, marine mammals, sea turtles, and various flatfish. Bottom trawls and bottom gillnets can be damaging to the seafloor. The monkfish fishery restricts certain areas to trawling in an effort to alleviate the gear impacts on the habitat. Bottom gillnets in the monkfish fishery are placed on sandy substrate, and therefore damage to the seafloor is minimized. The effects of removing monkfish from the ecosystem are unknown.